I am struggling with the state of animal controls across the country. It seems like everyday I hear of a dog or cat euthanized before their owner could get to them. Sometimes it’s because animal control never bothered to call or the animal ran out of time before the owner could get to the shelter. 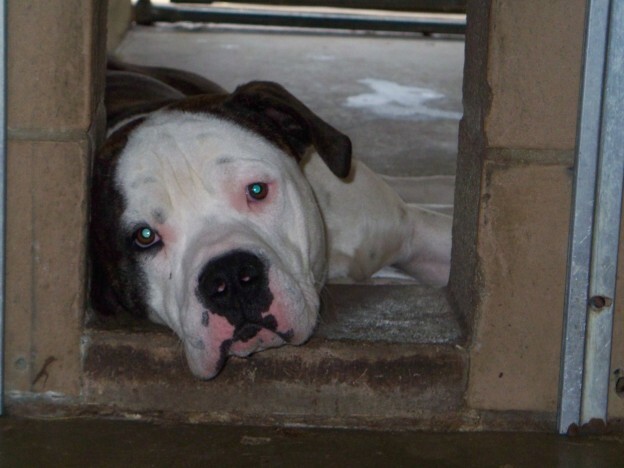 For some animal controls like Chicago Animal Care and Control (CACC), time for the animals was cut nearly in half, making it even less likely for the animal to be returned to the owner. Yes, there is some responsibility on the owners to find their dog or cat and get to the shelter quickly, but I believe the burden ultimately falls on the organization we pay with our tax dollars to serve the animal population. Recently, a cat was found in a car at a rental company. The rental company brought the cat to animal control, but called the owner to let them know they found the cat and brought it to the shelter. When the woman got to the shelter, the cat was already euthanized. How is it that a rental company, whose mission it to rent cars, had the time and the compassion to find the owner, but animal control did not? Let’s consider the word “shelter.” A place of respite, a place to find comfort and warmth. Yet, when many animals enter a city shelter it is anything but warm and comfortable. The issue I believe many taxpayers fail to recognize is that it is their money paying to euthanize innocent animals. Every tax dollar they owe has an impact on the local animal control. Meaning that taxpayers have a right to stand up and take back control of their city shelters. Gone are the days of the “dog catcher,” yet, it seems that many people who care about animals appear to accept that the city shelter is doing the best they can. That is hogwash. When our streets don’t get plowed and our garbage doesn’t get taken away, we complain to the city. We don’t care when they say they are doing the best they can with the resources they have, we demand better. We want our streets without pot holes and we want the police to protect us. We don’t care where the money comes from or what the city has to do to make it happen. Why should we rollover and accept that the city animal control is doing the best they can by euthanizing 50% of the animals? There are city shelters who are 100% no kill. Our city shelters can do better, but only if we push them. Only if we are willing to fight. As I began thinking about this blog, I wondered if, perhaps, animal control facilities would be better run by volunteers instead of government employees. I worked at animal control as an employee and I witnessed many employees who were there only for a paycheck. They didn’t care who was euthanized or who was adopted. It was a job to them. For me, it was a passion with the bonus of a paycheck. There are successful volunteer shelters across the country. Run with little money, but lots of love. What if we could run a city shelter using tax dollars to fund the building, the medical costs and the necessities like food and water, but operated it 100% by volunteers, people who love animals and would do just about anything to save them? People in government are gasping at that thought, yet, I believe it is something to seriously consider. With my masters degree is in Human Resource Management, I am well versed in pay for performance and hiring practices. Why not consider hiring employees who care about animal welfare. People with backgrounds in rescue and animal care. And how about using euthanasia rates like production rates in manufacturing companies for performance reviews. Why can’t employees of city shelters be rewarded for saving animals instead of killing them? There are so many better ways to run city shelters, but until taxpayers demand better, until they choose to fight for the animals, very little will change. In the meantime, as a taxpayer, remember each time you hear of an innocent animal killed at a city shelter you helped pay for it. This entry was posted in Uncategorized on March 10, 2015 by sheltertails5839.